The Hollywood Reporter is reporting that Jerry Bruckheimer has purchased the rights to a short story by Derek Haas and hired the writer to expand it into a feature screenplay for Disney. The deal was worth more than seven figures. Haas is also the author of the Silver Bear thrillers, the second of which, Columbus, is scheduled for publication this November. Mysterious Reviews, mysteries reviewed by the Hidden Staircase Mystery Books, is publishing a new review of The Black Circle by Patrick Carman. For our blog readers, we are printing it first here in advance of its publication on our website. Special thanks to Alex (age 14) for contributing his review of The Black Circle and to Scholastic for providing a copy of the book for this review. If you are interested in purchasing The Black Circle from Amazon.com, please click the button to the right. Synopsis (from the publisher): Where are Amy and Dan Cahill? 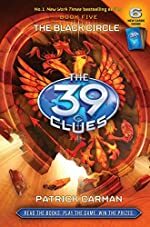 The two kids were last seen in Egypt, hunting for one of the 39 Clues that could make them the most powerful people on earth. But no one has seen the siblings since. Has the ruthless Irina Spasky finally tracked them down? Or worse ... the Madrigals? No one knows where the Clue hunt leads next. But one thing is certain -- Dan and Amy are gearing up for their most dangerous adventure yet. The only reality show to date that had a real mystery or suspense theme to it was The Mole, an ABC series that aired its original format for two seasons. Several celebrity versions and knock-offs followed, but couldn't match the quality of the original. Contestants needed to complete a series of (often) complex challenges to move on in the game. One of them, however, was a "mole", someone whose role it was to sabotage as secretly as possible the tasks being completed. At the end of each challenge, contestants were asked a series of questions intended to expose the mole; the one answering the least correctly was eliminated. Anderson Cooper was the host. CSI: Crime Scene Investigation features a passionate team of Las Vegas forensic investigators trained to solve crimes the old-fashioned way -- by examining the evidence. Gil Grissom (William L. Petersen) exits this season and Laurence Fishburne joins the cast in the lead role of Dr. Raymond Langston. Along with Catherine Willows (Marg Helgenberger), Nick Stokes (George Eads), Greg Sanders (Eric Szmanda), and Captain Jim Brass (Paul Guilfoyle), they are all on the case 24-7, scouring the scene, collecting irrefutable evidence, and finding the missing pieces that will solve the mystery. The CSI: Season Nine DVD set of 6 discs contain the 24 episodes that aired on CBS from October 2008 through May 2009. Victorian London was a boon for crooks--and a bane for Scotland Yard, whose job it was to thwart crime. In the pages of fiction, the citizens of the capital often turned to private sleuths for redress. But Sherlock Holmes was not the only detective in town. Contemporary writers created an impressive cast of investigators, both amateur and professional, as colorful as the criminals they set out to catch. The Rivals of Sherlock Holmes are their stories. Some of the detectives in this classic British series work with the police. Others achieve success in spite of them. And a few even fall under official suspicion themselves. Yet all pit their wits against the best that London’s underworld has to offer in 13 finely crafted mysteries delivered by Britain’s top character actors. 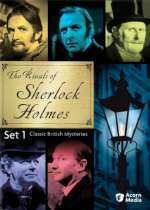 The Rivals of Sherlock Holmes: Set One DVD set of 6 discs contain the 13 episodes of this series that aired during the fall of 1971. 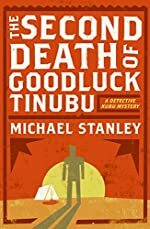 Mysterious Reviews, mysteries reviewed by the Hidden Staircase Mystery Books, is publishing a new review of The Second Death of Goodluck Tinubu by Michael Stanley. For our blog readers, we are printing it first here in advance of its publication on our website. Review: Set in Botswana, Assistant Superintendent David "Kubu" Bengu is assigned to assist in the investigation of two murders at Jackalberry Camp, a tourist destination near the borders of Zimbabwe, Zambia, and Namibia in The Second Death of Goodluck Tinubu, the second mystery in this series by the pseudonymous writing duo Michael Stanley. Dead are the titular character, formerly of Zimbabwe, and Sipho Langa, of South Africa. Missing from camp is Ishmael Zondo, real identity unknown as he was in the country on a false passport, and now the prime suspect in both murders. Though they arrived in camp together, the two dead men apparently did not know each other and have no obvious connection to each other. The local authorities are quick to attribute the deaths to a drug deal gone badly. Kubu believes otherwise, especially when it's learned that Goodluck Tinubu was declared dead almost 30 years ago during a civil uprising in Southern Rhodesia, now Zimbabwe. Another murder with links back to the camp focus Kubu’s attention on who was present at the time of the original murders, who he believes know more than they’re telling. There is great appeal in the characters and setting of The Second Death of Goodluck Tinubu, but it must also be said that the book is far too long for what is essentially a routine murder investigation; at over 450 pages in length, cutting a third or more would have greatly improved the pacing with no loss of continuity. True, there's a wealth of detail about the lush countryside, from vistas (“Kubu looked around. The view was spectacular. Water and islands stretched to the hazy horizon. Wild date palms poked into the sky, hosts to circling palm swifts, moving almost too fast for the eye to track. To the right, the mainland was covered with thick vegetation. Jackalberry, mangosteen, and birdplum trees dominated the scene, with an occasional mahogany spreading its heavy branches.”) to night-bush sounds (“There was a loud crack, and a tree descended to comfortable elephant-trunk level.”), that add interest and depth to the story, but there are also extended backstories about the political unrest of the area that are related to the plot but really contribute relatively little. Even the suspect interviews, which often bear a striking similarity to those conducted by Agatha Christie's Hercule Poirot, who no doubt heavily influenced the character of Kubu Bengu, are too long by half. The least satisfactory element of the story, though, is the murder plot. The authors tease the reader with hints as to its complexity (“Zondo is not Zondo, and Tinubu died years ago. To all intents and purposes, neither exists. Makes solving a murder a little difficult.”), but most will see it for what it is. The murders take place on remote river island with limited access, yet it takes over 350 pages before Kubu ponders, and ultimately answers, the questions that should have been foremost on his mind when he first arrived at the murder scene: Why Goodluck Tinubu? Why Jackalberry Camp? Why now? Still, despite its length and rather weakly developed and somewhat derivative plot, The Second Death of Goodluck Tinubu is an enjoyable mystery, a familiar story in a most unfamiliar place. Special thanks to Susan Schwartzman Public Relations for providing a copy of The Second Death of Goodluck Tinubu for this review. If you are interested in purchasing The Second Death of Goodluck Tinubu from Amazon.com, please click the button to the right. The Second Death of Goodluck Tinubu (Kindle edition) is also available. Learn more about the Kindle, Amazon's Wireless Reading Device. Normally a peaceful wilderness retreat, the Jackalberry bush camp has suddenly become a ghastly crime scene—and the details are still emerging when Detective David "Kubu" Bengu is assigned to the case. Zimbabwean teacher Goodluck Tinubu and another tourist have been found bludgeoned to death, while another guest at the camp—rumored to be a dissident wanted in Zimbabwe—has disappeared without a trace. With the local police unable—or unwilling—to provide much assistance, Detective Kubu relies on his own instincts to track down those responsible for the crimes. But a startling piece of forensic evidence from Goodluck Tinubu's murder adds a complicated twist to the investigation, and Kubu must work fast to solve a seemingly impossible riddle before any more Jackalberry guests meet their death. Suspecting that everyone at the camp has something to hide, the wily detective from Gaborone sets a clever trap to find the truth. Games of Mystery, your source for mystery-themed electronic and board games, parties for kids and adults, and getaway vacations including murder mystery weekends, is pleased to announce the availability of a new mystery game for the Nintendo DS. More mystery games for this platforms are available on our recently updated Games of Mystery: Nintendo DS webpage. You, as the Hardy Boys, are invited onboard the Royal Express traveling from Paris to St. Petersburg to follow the mysterious trail of the Romanov family treasure in The Hardy Boys: Treasure on the Tracks, the first game in this franchise for the Nintendo DS. Famed amateur detectives, the team consists of Frank and Joe Hardy. Joe is easily excitable and more spontaneous while Frank prefers to calculate a method of solving the mystery and relies mostly on logic. Together they need to discover what others before them have failed to find. In Treasure on the Tracks, you'll take a ride on the Royal Express to track down the lost clues of the royal Romanov family in the great cities of Europe! 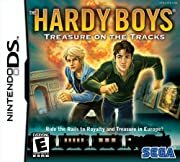 The Hardy Boys: Treasure on the Tracks is currently scheduled for release for the Nintendo DS on September 1st, 2009, and is available to pre-order. Mysterious Reviews, mysteries reviewed by the Hidden Staircase Mystery Books, is publishing a new review of Chambers of Death by Priscilla Royal. For our blog readers, we are printing it first here in advance of its publication on our website. 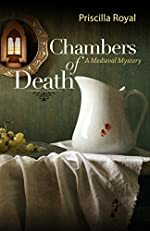 Review: Chambers of Death is the 6th mystery in this series by Priscilla Royal, set in medieval England and featuring Prioress Eleanor of Tyndal. It is the end of autumn on a blistery, icy raining day as Prioress Eleanor, administrator of Tyndal Priory, a Fontevraudine nunnery, returns from an ill-advised journey concerning boundary disputes and contracts. Together, with her traveling companion, Brother Thomas, a monk at Tyndal, and a fifteen-year-old novice, Mariota, Prioress Eleanor seeks a refuge from the weather in that Mariota has suddenly turned quite ill. She is feverish and her breathing is ragged and labored. They are fortunate to find lodging at the manor of Henry de Lacy, Earl of Lincoln. The members of the household are gracious and show great warmth to their visitors, carrying Mariota into a room with a bed near the fire to hasten her recovery, and giving Eleanor clean and dry clothes. The good will of some of the members of the family did not last long, however. Filled with anger, jealousy and lust, some remarked that the Devil with all his ghosts and demons were residing in the manor. Though Eleanor is desirous of moving on, Mariota’s fever does not break on the first day, and the visitors are invited to stay on until she is well. On the second night of their stay, a cry of “murder” is heard throughout the manor. Tobye, the stable groom is found dead, his throat slashed. Without hesitation, the local sheriff decides the deed was done by another servant, so immediately arrests the Hilda the cook, who had been known to look at Tobye in lustful ways. He is going to take her off to hang her. Eleanor, although she had no idea who might have killed Tobye or why, was sure it was not Hilda. She knows she is a guest and should not become involved, but this is not her nature. Eleanor forces herself to confront the question of why she had gotten involved in this matter of murder. This was not priory land. The king’s law ruled here. After her successes in similar affairs, has she grown conceited? If true, she must cease her involvement and confess her overindulgent arrogance. She fears, however that, the evil in this place of refuge is more sinister than she had imagined. And then two more deaths occur, one which appears to be a suicide and another clearly murder. Who will the sheriff suspect now, and can Eleanor help identify the murderer? The real strength of this series is in the character of Prioress Eleanor. She is truly and interesting and captivating person. Although she sees the sins of those who come to her for blessings, she recognizes that she, too, is a sinner. The other characters here are equally appealing, well considered and drawn. The plot in Chambers of Death is especially strong, the setting providing an appropriate atmospheric gloom over "whodunit" and why. This series continues to improve with each successive outing of the Prioress, and is highly recommended. Special thanks to guest reviewer Betty of The Betz Review for contributing her review of Chambers of Death and to Poisoned Pen Press for providing an ARC of the book for this review. If you are interested in purchasing Chambers of Death from Amazon.com, please click the button to the right. Synopsis (from the publisher): When one of her company falls ill on a return journey to Tyndal, Prioress Eleanor accepts lodging at a nearby manor. Master Stevyns' wife is having an affair with the groom while a local widow acts more the lady of the manor than the lady herself. His eldest son and spouse are obsessed with sin and heaven while his youngest son, bound for the Church, unexpectedly returns with more interest in lute playing than the priesthood. It is no surprise when someone's throat is cut, but the sheriff does all he can to avoid offending the family rather than seeking the real killer. When he arrests a servant, she herself is stabbed before she can either prove innocence or be taken off for hanging. Will Eleanor discover the dark secrets that have led to this string of killings before the murderer strikes again? First Clues: Mysteries for Kids is your source for information on over 100 mystery series for children and young adults where each series is conveniently listed under four different age categories (New Sleuths, ages 4 to 6; Future Sleuths, ages 7 to 9; Sleuths in Training, ages 10 to 12, and Apprentice Sleuths, ages 13 and older), is pleased to announce new titles in the Nancy Drew and The Hardy Boys mysteries series scheduled for publication in September. The 22nd book in this series for young girl sleuths. The 3rd book in the Galaxy X Trilogy. Suspects: Tyrone McKenzie and his family seem to make enemies by the second. But is it a new enemy that wants to keep the park shut down? Or someone from the McKenzie family's past who has suddenly resurfaced ...? The Hardy Boys mysteries are recommended for readers aged 10 and older. Frank and Joe go undercover at a national spelling bee where a mysterious madman known as the Hangman is determined to erase the competition! Teens from across the globe have been invited to attend, and A.T.A.C. and the Hardy Boys have to do everything they can to keep the Hangman from spelling disaster! The 18th book in this series of graphic novels. Janet Rudolph over at Mystery Fanfare has posted the winners of the 2009 Ned Kelly Awards, which were given out last night in Melbourne by the Crime Writers Association of Australia recognizing outstanding works in the field of crime fiction and non-fiction by Australian authors. Crime writer Shane Maloney was given the lifetime achievement award. Our congratulations to the winners! Visit Mystery Book Awards for more information on over 30 other awards recognizing outstanding mystery fiction. 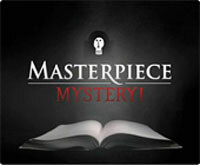 This weekend, Masterpiece Mystery! (PBS) presents the second series of Inspector Lewis mysteries. Kevin Whately and Laurence Fox return as Detective Inspector Lewis and Detective Sergeant Hathaway in seven all-new episodes. As the relationship between the two develops, new sides to the inimitable duo emerge. Memories of his wife's sudden death continue to haunt Lewis while Hathaway's understanding with the Inspector deepens with every case. This Sunday, August 30th (9 PM ET/PT; check your local listings for the exact time in your area), "And the Moonbeams Kiss the Sea" airs. A body is in the library, but not just any library. A man is dead in the basement of Oxford's Bodleian Library, the first murder there in 500 years. The maintenance worker had a curious interest in old books and a more contemporary proclivity for gambling. Lewis and Hathaway's investigation takes them into the secrets and contrasts of Oxford life — the closed world of gambling support groups and the rarified arena of arts and literature. But when the murders start to stack up like books in the Bodleian and the surreal link seems to be the poet Shelley, Lewis and Hathaway scramble to get an education and catch a killer. New episodes air each of the following Sundays through October 18th (except September 27th). Inspector Lewis is a spin-off from the long-running Inspector Morse mystery series, based on the characters created by Colin Dexter. Set in Oxford, it takes place chronologically five years after the death of Inspector Morse. The first series of Inspector Lewis mysteries is available on DVD from Mysteries on TV. In a press release yesterday, SouthPeak Games announced Crime Scene, a new game for the Nintendo DS. Crime Scene turns the Nintendo DS into a weapon of justice. Players are tasked with combing through crime scenes and untangling suspense-filled scenarios by using the stylus, breath and voice features, and their own eye for detail to condemn wrongdoers. All the police tools are at the players' disposal as they study bodies, take blood samples, collect fingerprints, use voice recognition software, identify murder weapons, conduct DNA analyses and more. "People love a good 'whodunit', so we're about to give them a bunch of head-scratching crimes to solve," said Richard Iggo, VP of Marketing at SouthPeak. "Whether you are a fan of police dramas on TV, classic detective fiction, or just tricky puzzles, Crime Scene allows players to take part in their own tense, high stakes investigation and get involved in forensic work." Though no specific release date was mentioned, Crime Scene is expected to be available for the holiday shopping season. Visit Games of Mystery: Nintendo DS for more mystery games available for this platform. First Clues: Mysteries for Kids, your source for information on over 100 mystery series for children and young adults where each series is conveniently listed under four different age categories (New Sleuths, ages 4 to 6; Future Sleuths, ages 7 to 9; Sleuths in Training, ages 10 to 12; and Apprentice Sleuths, ages 13 and older), is pleased to announce a selection of new mystery books (including series books) scheduled for publication during September, 2009. The Boxcar Children mysteries are recommended for readers aged 7 to 9. Henry, Jessie, Violet, and Benny take a trip down the Mississippi River in a paddle-wheel boat and stay in a haunted cabin! At least it seems haunted - ther are spooky phone calls, flickering lights, and strange shadows. Are there really ghosts, or is someone trying to scare the Boxcar Children away? The Boxcar Children Graphic Novels are recommended for readers aged 7 to 9. Henry, Jessie, Violet, and Benny are on a fall vacation in the woods - but suddenly a snowstorm hits! While they're trapped in their cabin they discover a strange message written in code hidden in a secret spot! Who is the message for? The Boxcar Children wait to be rescued from the deep snow, but in the meantime they have a mystery to solve! The Aldens have new neighbors, and they're helping them build a tree house! From up high they can see things they hadn't seen before. There's a strange round window on the house next door that's been hidden by trees - but nobody can find the window from inside the attic. Does their neighbor's old house have a secret? The Skulduggery Pleasant series books are recommended for readers aged 10 to 12. A list of the top 15 mystery hardcover bestsellers for the week ending August 28, 2009 has been posted on the Hidden Staircase Mystery Books website. Not much change at the top of the list this week with The Girl Who Played With Fire by Stieg Larsson retaining the top spot for the fourth straight week. Two new titles debut this week. 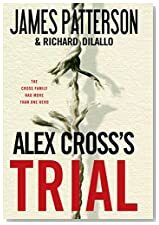 Entering the list in 10th position is the 15th thriller in the Alex Cross series by James Patterson, Alex Cross's Trial. Separated by time ... From his grandmother, Alex Cross has heard the story of his great uncle Abraham and his struggles for survival in the era of the Ku Klux Klan. Now, Alex passes the family tale along to his own children in a novel he's written--a novel called Trial. Connected by blood ... As a lawyer in turn-of-the-century Washington D.C., Ben Corbett represents the toughest cases. Fighting against oppression and racism, he risks his family and his life in the process. When President Roosevelt asks Ben to return to his home town to investigate rumors of the resurgence of the Ku Klux Klan there, he cannot refuse. United by bravery ... When he arrives in Eudora, Mississippi, Ben meets the wise Abraham Cross and his beautiful daughter, Moody. Ben enlists their help, and the two Crosses introduce him to the hidden side of the idyllic Southern town. Lynchings have become commonplace and residents of the town's black quarter live in constant fear. Ben aims to break the reign of terror--but the truth of who is really behind it could break his heart. 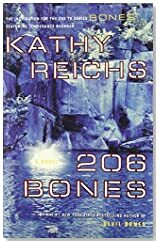 Coming in at number 14 is 206 Bones, the 12th mystery in the Temperance Brennan series by Kathy Reichs. There are 206 bones in the human body. Forensic anthropologists know them intimately, can read in them stories of brief or long lives and use them to reconstruct every kind of violent end. 206 Bones opens with Tempe regaining consciousness and discovering that she is in some kind of very small, very dark, very cold enclosed space. She is bound, hands to feet. Who wants Tempe dead, or at least out of the way, and why? Tempe begins slowly to reconstruct ... Tempe and Lieutenant Ryan had accompanied the recently discovered remains of a missing heiress from Montreal to the Chicago morgue. Suddenly, Tempe was accused of mishandling the autopsy -- and the case. Someone made an incriminating phone call. Within hours, the one man with information about the call was dead. Back in Montreal, the corpse of a second elderly woman was found in the woods, and then a third. Seamlessly weaving between Tempe's present-tense terror as she's held captive and her memory of the cases of these murdered women, Reichs conveys the incredible devastation that would occur if a forensic colleague sabotaged work in the lab. The chemistry between Tempe and Ryan intensifies as this complex, riveting tale unfolds. Mysterious Reviews, mysteries reviewed by the Hidden Staircase Mystery Books, is publishing a new review of Where Petals Fall by Shirley Wells. For our blog readers, we are printing it first here in advance of its publication on our website. Review: Forensic psychologist Jill Kennedy and DCI Max Trentham are shouldering more than their fair share of collective guilt. She is on stress leave, worry-ridden whether she made the right call in an earlier case where a suicide “wrongly accused, hanged himself” and wondering what it will be like to return to work shortly. Her own husband was a cop killed in a street shoot-out. Trentham hasn’t fared too well either, what with his superiors constantly nagging him, a mole in his squad room leaking information to the press, and himself a widower with two boys to raise and Jill to deal with both as a colleague and a lover. Now, they are haunted by the vicious death of a young woman that leads them to believe a serial killer may have returned from the dead. Part British police procedural and part psychological thriller, Wells’ Where Petals Fall is total entertainment. What Jill and Max quickly discover is that 38-year-old floral designer, Carol Blakeley, has been murdered and her body left in Lee Quarry where two lads find it. The MO for the killing is identical to that of an alleged serial killer’s five years earlier when four other young married women had their throats slashed, their bodies wrapped in a white undertaker’s shroud, and their wedding rings threaded onto red ribbons tied around their midriffs. The earlier case was closed when the suspect was killed while fleeing the police, but his body was never found in the car that plunged into the sea. Now, the Kennedy-Trentham duo have to set aside Jill’s demons and their own domestic upsets to concentrate on finding Blakeley’s killer and keeping their supervisors, critics and the media at bay. They go about their business in fine style. Despite the nagging reminders of "The Undertaker," as the press dubbed the serial killer, Jill and Max deal with the realities of the current apparent suspects. Blakeley’s philandering husband is a prime candidate, especially when a girlfriend turns on him. Then there’s a next-door neighbour of Jill’s who keeps popping up at all the wrong times but in the right places. There’s even a supposedly close friend of Blakeley’s who deserves every bit of the scrutiny she gets from Max, Jill and their colleagues as they sift and sort the similarities of the clues from the present and past murders. Like other first-class British mystery novels, this one by Wells is tightly structured, keeps the reader guessing about whodunit, and has characters with depth, soul and interesting backgrounds. Who doesn’t feel compassion for Jill as she struggles on her comeback trail past her doubting Thomas colleagues? And surely, most readers will be on Max’s side when he takes on his browbeating supervisors more interested in career moves than in solving a particularly pernicious crime? And when the two have solved the case, who isn’t ready for their next one? Special thanks to M. Wayne Cunningham ([email protected]) for contributing his review of Where Petals Fall and to Soho Press for providing a copy of the book for this review. If you are interested in purchasing Where Petals Fall from Amazon.com, please click the button to the right. 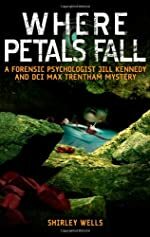 Synopsis (from the publisher): When two young boys find a woman’s body in a quarry, Jill Kennedy and DCI Max Trentham experience a definite feeling of déjà vu. Five years earlier, four women were found murdered in exactly the same way. Weirdly the bodies had each been discovered wrapped in a shroud – so the killer was soon dubbed "The Undertaker". Following Jill’s profiling the police tried to arrest a loner called Edward Marshall, but the man had fled and, after a high-speed car chase, lost control and went over a cliff. His car was found but his body never was. Now there are three possibilities: Marshall somehow survived the plunge into the sea; Marshall was innocent and the real killer is back – or a copycat is at work. It is up to Jill and Max to work out whether a terrible mistake was made by the police five years ago ... or whether the original murderer had an apprentice waiting in the wings. 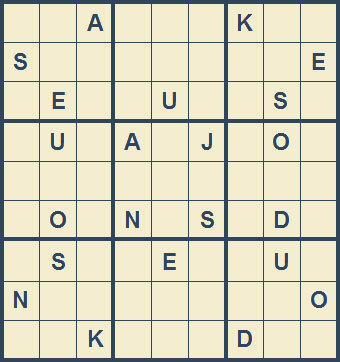 The second in a new series of casual games featuring the teen sleuth! A terrifying and mysterious bomber is plaguing the exclusive Redondo Spa! Can you defuse the situation and prevent the resort from losing all of its customers? 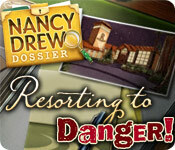 Nab the culprit or you're out of business in Nancy Drew Dossier: Resorting to Danger. This fun and exciting game will immerse you in a suspense-filled hunt as you piece together clues, discover the criminal, and crack the case! Also available: Nancy Drew Dossier: Resorting to Danger Strategy Guide and a Nancy Drew Dossier: Resorting to Danger Game Walkthrough. Nancy Drew Dossier: Resorting to Danger, a Big Fish Game Club exclusive, may be downloaded and purchased for $6.99 with a Big Fish Game Club membership. A demonstration version (93.43 MB) may be downloaded and played for free for one hour; the full version is 254.45 MB. See also the first game in the series, Nancy Drew Dossier: Lights, Camera, Curses!. 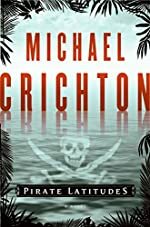 USA Today is reporting that Steven Spielberg is developing a film based on a book Michael Crichton had written before his death, Pirate Latitudes, an adventure story set off the coast of Jamaica in 1665, which is scheduled for publication this November. David Koepp, who adapted Crichton's novels Jurassic Park and The Lost World, will write the screenplay. Synopsis (from Michael Crichton's website): The Caribbean, 1665. A remote colony of the English crown, the island of Jamaica holds out against the vast supremacy of the Spanish empire. Devoid of London's luxuries, Port Royal, its capital, is a cutthroat town of taverns, grog shops, and bawdy houses. In this steamy climate, life can end swiftly by dysentery — or dagger. But for a daring soul like Captain Edward Hunter, this wild outpost in the New World can also lead to great fortune, if he abides by the island's code. In the name of His Majesty King Charles II of England, gold in Spanish hands is gold for the taking and the law of the land rests with those ruthless enough to make it. Word in port is that the Spanish galleon El Trinidad, fresh from New Spain, is awaiting repairs in nearby Matanceros. Heavily fortified, the impregnable Spanish harbor is guarded by the bloodthirsty Cazalla, a favorite commander of King Philip IV. With the Jamaican governor's backing, Hunter assembles a crew of ruffians to infiltrate the enemy island and commandeer the galleon and its fortune in Spanish gold. The raid is as perilous as the bloodiest tales of Matanceros legend, and Hunter will lose more than one man before he makes it onto the island's shores, where dense jungle and the firepower of Spanish infantry stand between him and the treasure. With the help of his cunning band, Hunter hijacks El Trinidad and escapes the deadly clutches of Cazalla, leaving plenty of carnage in his wake. But the danger — and adventure — are only just beginning. "Michael wrote a real page-turner that already seems suited for the big screen," Spielberg said of Pirate Latitudes. "Michael and I have had almost two decades of solid collaborations. Whenever I made a film from a Michael Crichton book or screenplay, I knew I was in good hands. Michael felt the same, and we like to think he still does." DreamWorks plans to wait for Koepp's script before setting any formal schedule for the project. 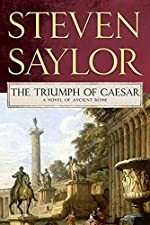 Mysterious Reviews, mysteries reviewed by the Hidden Staircase Mystery Books, is publishing a new review of The Triumph of Caesar by Steven Saylor. For our blog readers, we are printing it first here in advance of its publication on our website. Review: At age 64, Gordianus the Finder is retired but cannot resist the plea of Calpurnia, the wife of Julius Caesar, to investigate a potential danger against the state in The Triumph of Caesar, the 10th full length novel (there have been 2 short story collections) in this series by Steven Saylor. But Gordianus wasn't Calpurnia's first choice as she thought he was dead, drowned in Egypt; she'd originally hired a man she learns is Hieronymous, an old friend of Gordianus, who has now been murdered. The dead man has left a large number of papers that Gordianus decides to use as a starting point for his investigation. Hieronymous had a decidedly mixed view of his good friend, as he writes, "Beginning to think dear old Gordianus was a bit of a puffed-up charlatan. This 'finder' business not remotely as difficult, or as dangerous, as he always made it out to be. The tales he used to tell, portraying himself as the fearless hero on a relentless quest for the truth! Half of those stories were probably made up. Still, if he's truly dead, as people say, I shall miss the old windbag ..." More pertinent to the case, Hieronymous makes clear he believes Caesar may indeed be in danger. "I dare not write my supposition even here; what if this journal were to be discovered? Must keep it hidden. But what if I am silenced? To any seeker who finds these words and would unlock the truth, I shall leave a key. Look all around! The truth is not found in the words, but the words may be found in the truth." Gordianus is determined to continue the pursuit of the truth that Hieronymous began, a quest that would be infinitely easier if he could only decipher the code left in the journal. Fans of historical mysteries will delight in the characterizations of people and places, and the detailed descriptions of life in Rome at the time The Triumph of Caesar takes place. The mystery plot is a good one, and, as befits its genre, incorporates a historical event. In some, maybe many, ways the book seems symbolic of the reign of Julius Caesar, which (though its characters don't know it) is drawing to a close. Gordianus is as mentally sharp as ever, but his body is getting old and he has trouble with physical activity. There can't be too many more adventures for this aging sleuth, but in the meantime, however many there may be are sure to be as remarkable as Gordianus the Finder himself. Special thanks to St. Martin's Minotaur for providing a trade paperback edition of The Triumph of Caesar for this review. If you are interested in purchasing The Triumph of Caesar from Amazon.com, please click the button to the right. The Triumph of Caesar (Kindle edition) is also available. Learn more about the Kindle, Amazon's Wireless Reading Device. Synopsis (from the publisher): The Roman civil war has come to its conclusion – Pompey is dead, Egypt is firmly under the control of Cleopatra (with the help of Rome’s legions), and for the first time in many years Julius Caesar has returned to Rome itself. Appointed by the Senate as Dictator, the city abounds with rumors asserting that Caesar wishes to be made King – the first such that Rome has had in centuries. And that not all of his opposition has been crushed. Gordianus, recently returned from Egypt with his wife Bethesda, is essentially retired from his previous profession of "Finder" but even he cannot refuse the call of Calpurnia, Caesar’s wife. Troubled by dreams foretelling disaster and fearing a conspiracy against the life of Caesar, she had hired someone to investigate the rumors. But that person, a close friend of Gordianus, has just turned up dead – murdered – on her doorstep. With four successive Triumphs for Caesar’s military victories scheduled for the coming days, and Caesar more exposed to danger than ever before, Calpurnia wants Gordianus to uncover the truth behind the rumored conspiracies – to protect Caesar’s life, before it is too late. No fan of Caesar’s, Gordianus agrees to help – but only to find the murderer who killed his friend. But once an investigation is begun, there's no controlling what it will turn up, who it will put in danger, and where it will end.